With this polar vortex happening, we can’t help but to think back, and forward, to our favorite wooded festival. Returning to Dover, Delaware for a eighth installment, Firefly Music Festival has released a massive lineup for the quickly approaching summer of 2019. Scheduled during the heart of the summer, The Woodlands will transform into a massive festival grounds from Friday, June 21, 2019 to Sunday, June 23, 2019. Stationed at the Dover International Speedway, Firefly Music Festival becomes home to hundreds of thousands of fans. Grab your tents and your fest gear, summer is right around the corner and the long-awaited camping festival will be here before we know it. 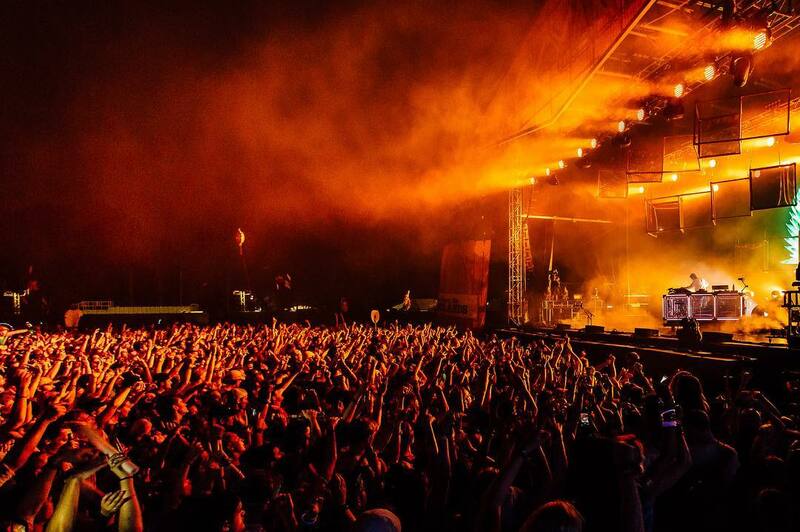 Firefly 2019 is stacked with performances from chart topping bands, rap artists, and DJ/producers. Buzz around The Woodlands to all the stages hosting only the best lights and sounds for all in attendance. This year catch Panic! At the Disco, Travis Scott, and Post Malone headlining Firefly Friday through Sunday, respectively. Performances will also include sets from Tyler, The Creator, Kygo, Vampire Weekend, Death Cab for Cutie, Zedd, Louis the Child, Awolnation, Griz, DJ Snake, Bob Moses, TLC, Sir Sly, Brockhampton, Alison Wonderland, Young the Giant, Quinn XCII, 3lau, and many more. Spread across the entire spectrum of genres, everyone, of all ages, will find someone to jam out to that weekend. Between sets festival goers can roam around the grounds and explore some of Fireflies highly sought out attractions. Groove in the silent disco amid The Thicket or head over to the Dogfish Head Brewing to grab a cold and tasty brew. If you want to escape to another world within Firefly, check out The Nook and grab a hammock to relax for a bit, maybe bring your own hammock and add to the growing community. Take a stroll through The Pathway and gaze at the forest you’re in come alive at night to sneak between the Lawn Stage and Main Stage. No dull sounds, no dull moments, no dull sights. Firefly Music Festival is no stranger to housing hundreds of thousands of fans, from crowd control to entertainment to camping maintenance, Firefly blows their experience out of the ball park. With a multitude of camping options, there’s no avoiding getting comfy with your crew for the weekend. Self-proclaimed as the Great Atlantic Campout, immerse yourself into the camping hubs. Choose from good old tent camping, glamping and pre-set tent options, or arrive in style and stay in an RV. Camping hubs will provide various amenities from daily yoga, to silent discos, farmers markets, Spruce Up stations and more for your perusal. Check out what went down at Firefly last year in our 2018 festival review. However you choose to spend your Firefly weekend, it will no doubt be a great one. Returning for a seventh year to The Woodlands, Firefly Music Festival will be here before we know it. Grab your tickets, crew, and camping passes here before its too late!